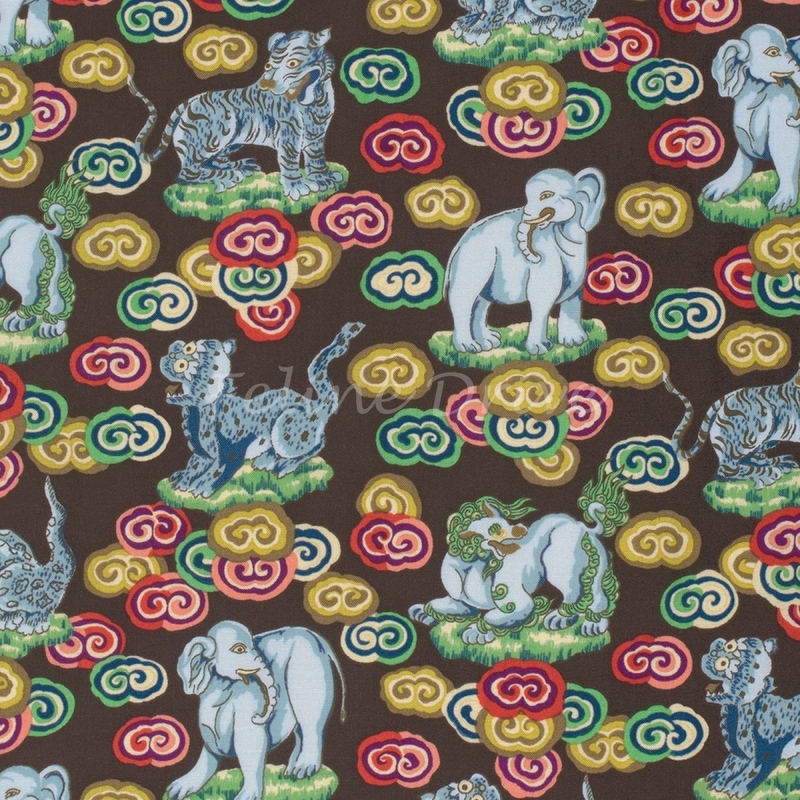 Himalaya from Snow Leopard Designs is inspired by the rich artistic heritage from the Himalayan kingdoms at the roof of the world. 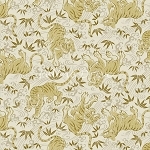 This is the realm of the mysterious and elusive snow leopard and that same sense of exotic enchantment is reflected in this rich and vibrant collection of fabrics. 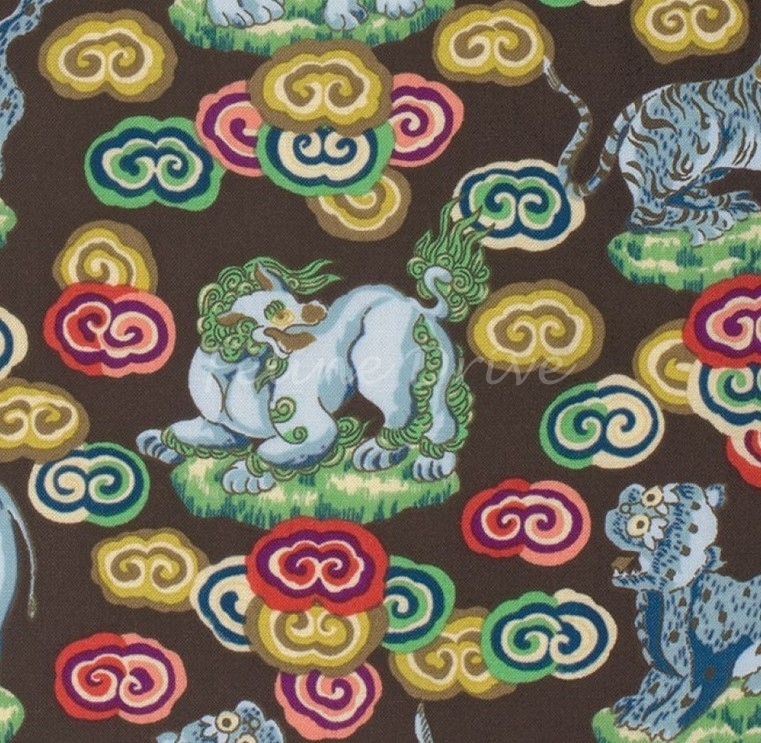 The art of the Tibetan plateau is a fusion of both Chinese and Indian influences as well as its own unique style inspired by the vibrant colors of lakes, skies, mountains and fluttering prayer flags. The designs were developed from a unique collection of antique fabrics, paintings and furniture in the Snow Leopard Archive, mostly dating from the 18th and 19th centuries. 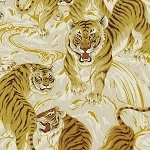 This fabric features images of the exotic animals that live in this enchanted realm that bring a taste of Shangri-La to your home and your projects. Print Size: Cats are approximately 2.5" to 3" long including tail.